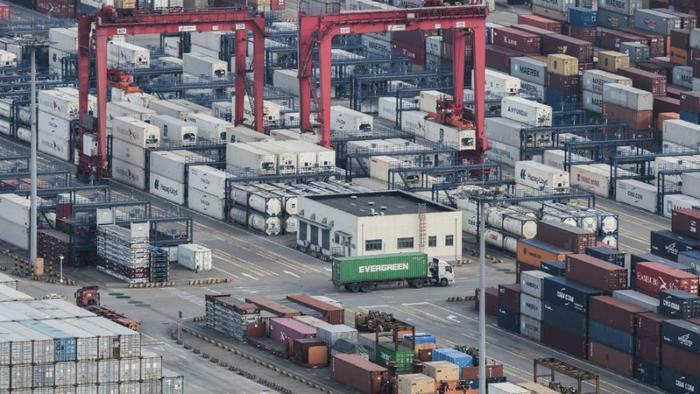 The latest round of escalating tariffs on Chinese imports took effect today, meaning thousands of products may cost more. The Trump administration placed a 10 percent duty on $200 billion in Chinese imports as it tries to obtain trade concessions from the U.S. trading partner. But in nearly every case, the added cost will be passed along to U.S. consumers who purchase the products. There are more than 5,700 items on the tariff list. It includes many food products, including seafood. Trout, Pacific salmon, Atlantic and Danube salmon, halibut, sole, and yellowfish tuna are just a few of the seafood items that will cost 10 percent more when purchased in the U.S. Some items could make U.S.-produced products more expensive. For example, printed circuit boards are on the tariff list. In 2017, the U.S. imported close to $12 billion worth. Other computer parts are also the subject of the new tariff. Last year the U.S. spent $3.15 billion on them. The U.S. also imports a lot of finished electronic goods from China and many are included in the tariff. For example, desktop computers will carry the 10 percent tariff. The U.S. imported nearly $4.5 billion in desktop computers last year. Metal and wooden furniture from China will also cost more, thanks to the tariff. Last year the U.S. imported around $3 billion in wooden furniture and almost $4 billion in metal furniture. In a tweet, Trade News Centre reported a number of Apple products, produced in China, are also covered under the new round of tariffs. On the list are the Apple Pencil, mice, trackpads, iPhone case, iPod Hi-Fi, and iPad Smart Case. The iPhone is not subject to the tariff. Earlier this month, Apple warned that U.S. tariffs could increase the price to consumers of many Apple products, including Airpods and the Apple Watch. Business Insider reports Walmart executives have sent a letter to the U.S. Trade Representative, warning that the escalating tariffs will raise prices for U.S. consumers. The latest round of tariffs may have been imposed to bring China to the negotiating table but so far, it isn't working. China today imposed its own tariffs on U.S. imports, and The Wall Street Journal reports Chinese officials have cancelled a meeting to discuss a resumption of trade talks.